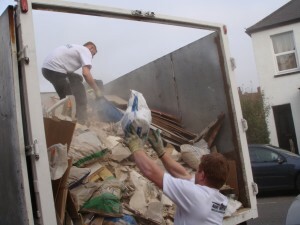 The service we offer extends way beyond just getting rid of your rubbish. 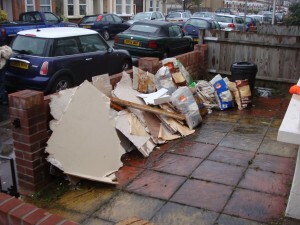 We work hard to reuse or recycle 80% of the waste we handle in East Ham E6, and, if we ever need to cart DIY or builders waste through your home, will use our own dustsheets, and even give the place a sweep and tidy before we leave too. We work seven days a week from 7am till 11pm, right across the East Ham E6 area. To use our service, just call us up, and we’ll give you a two hour time slot in which we’ll visit your home. Then, an hour before we’re scheduled to visit, we’ll call you up to provide a free of charge, no strings attached quote. This will only take into account the space your waste will use in our van (keeping our prices low) and is inclusive of all labour, transportation and disposal fees. If you like our prices, we’ll come along, get the job done and leave you to make the most of your outdoor space again. What’s not to like? 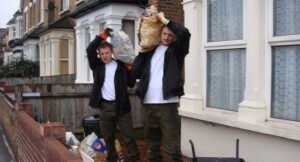 Want to discover more about how we can save you time, money and hassle with builders waste removal in East Ham E6 or arrange a collection? Give us a bell on 0208 504 7390 or 07957 123019. If you can’t pick up the phone, you can always reach out to us by filling out our handy online form. We’ll get back to you fast with a competitive quote.